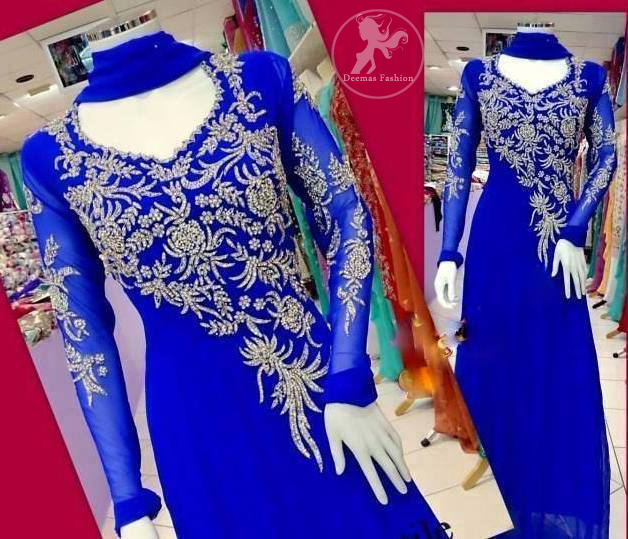 Tags: A-line, Blue, Churidar Pajama, Churidar Sleeves, Party. Electric blue chiffon A-line frock has been adorned with embellished neckline. Embroidered motif implemented on churidar sleeves. Pure chiffon matching dupatta and raw silk churidar.